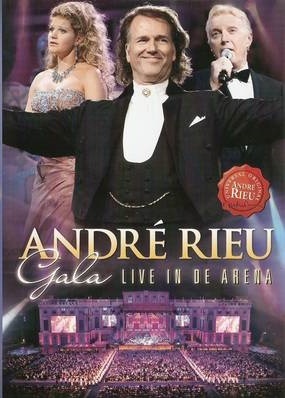 Andre Rieu Gala Live In Amsterdam DVD. Directly from the capital of his home country, from Amsterdam in The Netherlands, comes a recreation of the legendary palace of Schonbrunn for a concert of Viennese favourites, waltzes, polkas, and music with a distinctly Dutch flavor. This DVD was only released as a standalone item in The Netherlands, and is now being released in Australia for the first time. Stars include the beautiful Australian soprano Mirusia. Andre Rieu Gala Concert Live In Amsterdam DVD. Click the button below to add the ANDRE RIEU - GALA LIVE IN AMSTERDAM to your wish list.